Are you experiencing problems with selling your home? A slow sale is no fun, especially if you need a quick sale due to a move or for financial reasons. If you are having some trouble getting potential buyers to stick around, pricing might be the issue. Let’s explore a few reasons why. Are You Getting Any Offers? First, are you receiving any offers for your home? If you have, and they are coming in much lower than your listing price, then it could be a sign that you have set your price too high. Even in the hottest real estate markets, it is common to see buyers submitting ‘lowball’ bids as a starting point for future negotiations. However, if all your offers are well below your asking price, it might be time to re-evaluate it. Who Set The Price For Your Home? Did you set the starting price for your home, or did you rely on the help of a professional real estate agent or sales team? If you are trying to sell your home without expert guidance, it is possible that you priced your house above its actual value. Remember that a variety of factors, from the condition of your home to current interest rates, will help to determine your home’s value. It is best to rely on the guidance of an experienced real estate agent to set your price. What Do Local Sales Trends Look Like? Is your neighborhood considered a ‘hot’ or ‘cold’ real estate market? Are there a lot of local houses up for sale, or a few? What about in the past few months, have many nearby homes sold? At what price? Understanding regional sales trends is critical. If buyers are not buying, then you may be stuck lowering your price. Finally, if you do need to lower your asking price, it is best to do so carefully. A substantial price reduction can send the wrong message to potential buyers. They may start to wonder if anything is wrong with your house, or if it needs some major repairs. 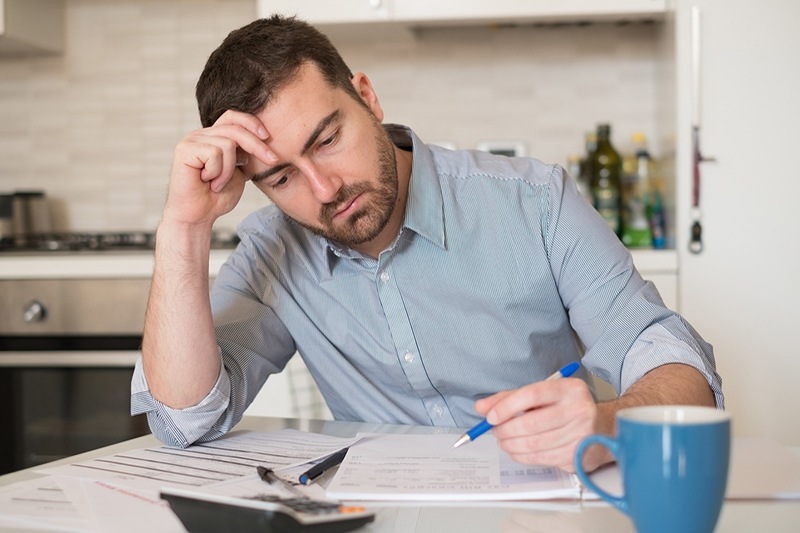 If you are having trouble closing the sale of your home, don’t get discouraged. It is possible that with a small tweak to the price, you can have the hottest listing in the local market. To learn more about how we can help you sell your home faster, contact our professional real estate team today. According to Case-Shiller national and 20-city home price indices for October, home prices continued to rise. National home prices rose 0.70 percent for the three months ending in October. Year-over-year, national home prices increased by 6.20 percent. The 20-City Home Price Index also rose by 0.70 percent in October and reported a year-over-year increase of 6.40 percent. 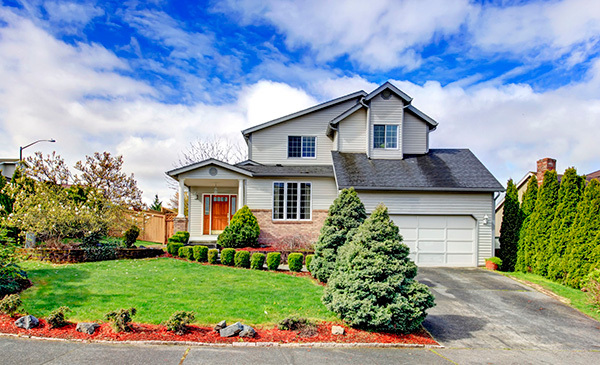 The top three metro areas in the 20-City Index were Seattle, Washington with a year-over-year increase of 6.40 percent; Las Vegas Nevada followed with year-over-year home price growth of 10.20 percent. San Diego, California had the third highest home price growth rate at 8.10 percent year-over-year. The year-over-year percentage increase was 1.30 percent below the all-time high reading for the 20-City Index. David M. Blitzer, CEO of the S&P Indices Committee, said that 2018 may bring challenges to home price growth. Mr. Blitzer said that while strong labor markets, economic growth, and low mortgage rates were major factors driving home price growth, higher mortgage rates are expected next year. Rising rates would make buying a home less affordable for some. Home price growth continued to outstrip inflation and income growth. Mr. Blitzer cited an Urban Institute report that indicated that high-priced metro areas may compel would-be home buyers to consider renting. High-demand metro areas are subject to high rates of buyer competition and bidding wars can drive affordable home prices beyond the reach of first-time and moderate-income buyers. 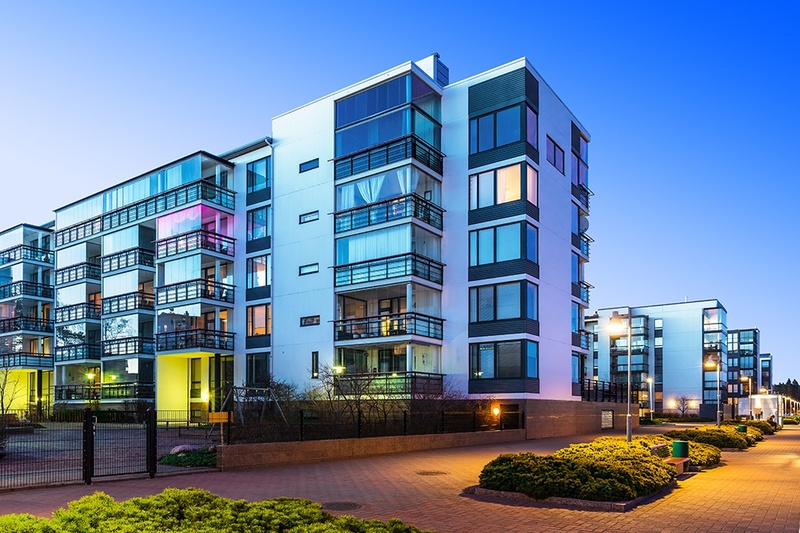 Significant numbers of buyers turning to rentals could drop the demand for homes and possible ease the rate of home price growth. Analysts expected home prices to continue increasing due to low supplies and high demand. Millennials are entering their home-buying years and relatively low mortgage rates have supported affordability, but higher mortgage rates and continued competition from investors and cash buyers could stifle demand for homes in the new year. Do you find yourself itchy and sneezing after an encounter with a friendly, furry dog? You are not alone. The CDC estimates that around ten percent of Americans suffer from allergies related to dogs or cats. But, of course, that is no reason not to enjoy the love of a dog. So, if you are ready to push your suffering aside and adopt a furry pal, below are a few breeds that are perfect for those prone to allergies. Do you know what the primary causes of pet-related allergies are? Many people believe that reactions are triggered by hair that has been shed, but this isn’t entirely accurate. Shed hair carries flakes of dead skin known as dander, and it is this dander which causes most typical dog-related allergic reactions. In an allergy-prone individual, this dander is treated as a harmful invading virus or bacteria. The body issues an immune response with symptoms like sneezing, watery eyes, hives and coughing which can be treated with antihistamines. Note that it is not just a dog’s dander that can cause a reaction. Dog saliva and urine are also known to carry the proteins that can trigger allergic reactions. The Poodle – if you are the energetic type that likes to get out and walk, a Poodle might be the right fit. Poodles are recognized as a cleaner dog as they do not shed much fur. They love to get outside and can be trained easily. The Schnauzer – if you are more of an introvert or have a quiet side, you might find a Schnauzer to be a better companion. These are smaller dogs that aren’t going to beg you to run around for a few miles each day. 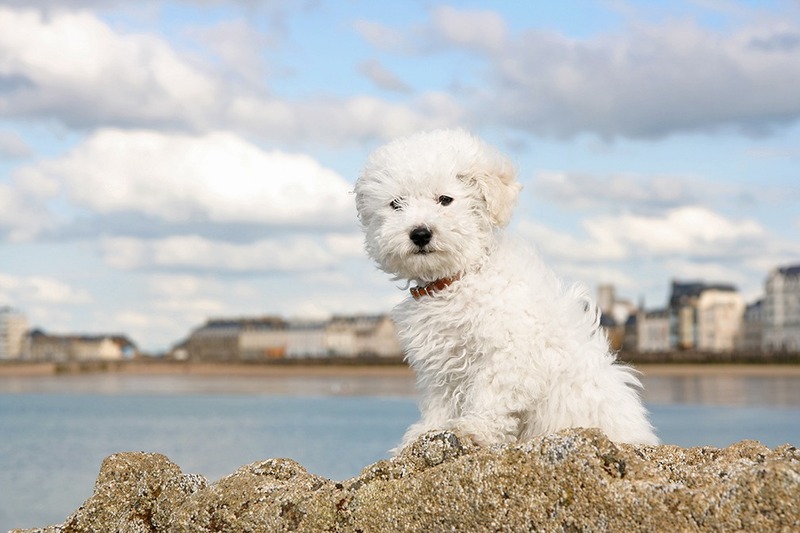 The Bichon Frise – this breed is an excellent choice for first-time dog owners and those who prefer smaller dogs. Bichon Frise are happy, friendly dogs that are very sociable. They are not incredibly high maintenance, but they do need daily grooming. Renting A Home That Doesn’t Allow Pets? If you are thinking about how great it would be to have a dog but can’t get one due to your current rental situation, contact us today. Our friendly real estate team is happy to introduce you to beautiful, pet-friendly home options in the local area. Last week’s economic reports included readings on NAHB homebuilder confidence, housing starts, building permits issued and sales of previously-owned homes. Weekly releases on mortgage rates and new jobless claims were also released. According to the National Association of Home Builders Housing Market Index for December, builder confidence in housing market conditions rose by four points to 74. This reading was the highest since 1999. Builder confidence increased based on strong labor markets, demand for homes and potential tax breaks resulting from proposed tax code revisions. Housing and real estate industries continued to cite an imbalance caused by high demand for homes and few available homes for sale. Increasing production of new single-family homes is the only way to ease the discrepancy between supply and demand. Reducing demand for homes would also slow the pace of home price growth, which impacted the ability of first-time and moderate-income home buyers to purchase homes. Commerce Department readings indicate that builder confidence aligned with housing starts in November. 1.297 million housing starts were reported as compared to expectations of 1,250 housing starts based on October’s revised reading of 1.256 million starts on a seasonally adjusted annual basis. Housing starts were 3.30 percent higher month-to-month and 12.90 percent higher year-over-year. Single-family starts were 5.30 percent higher for November. 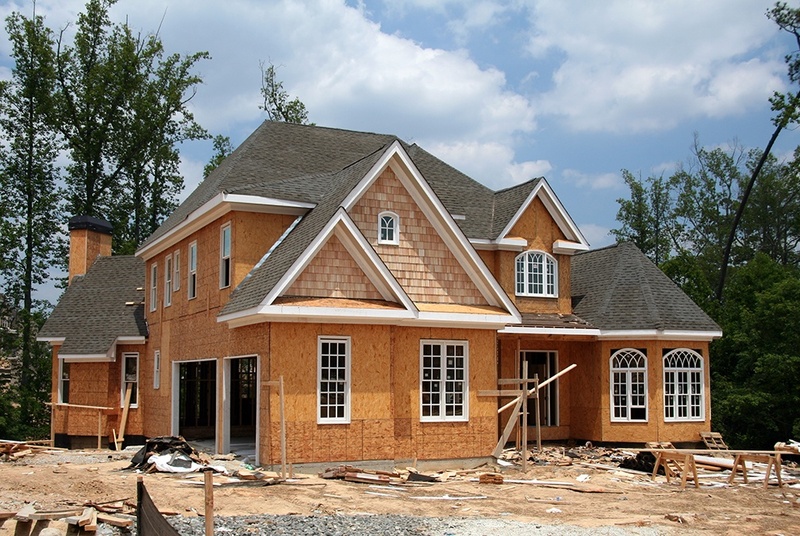 Analysts said that this indicated builder confidence in single-family home building increased. Building permits issued in November were lower than in October, but home construction slows in the winter months. 1,298 million building permits were issued in November as compared to 1.316 million permits issued in October. Sales of Previously-owned Homes rose to 5.81 million sales on a seasonally-adjusted annual basis as compared to October’s reading of 5.50 million sales of previously-owned homes. Pre-owned homes sales were 5.60 percent month-to-month and 3.80 percent higher year-over-year. The National Association of Realtors® reported increased sales of pre-owned homes in all regions except the West, where high home prices may be topping out. The Northeast reported 6.70 percent growth in sales; the Midwestern region had the highest rate of sales with growth of 8.40 percent and the South reported 8.30 percent growth in sales of previously-owned homes. The West reported a drop of -2.30 percent in sales of pre-owned homes. Freddie Mac reported higher average mortgage rates last week. The rate for a 30-year fixed rate mortgage was one basis point higher at 3.94 percent; the rate for a 15-year fixed rate rose two basis points to 3.38 percent. The average rate for a 5/1 adjustable rate mortgage rose three basis points to 3.39 percent. Discount points for fixed rate mortgages averaged 0.50 percent for fixed rate loans and 0.30 percent for 5/1 adjustable rate mortgages. First-time jobless claims were higher last week with 245,000 new claims filed as compared to last week; reading of 225,000 new jobless claims and expectations of 230,000 new claims. 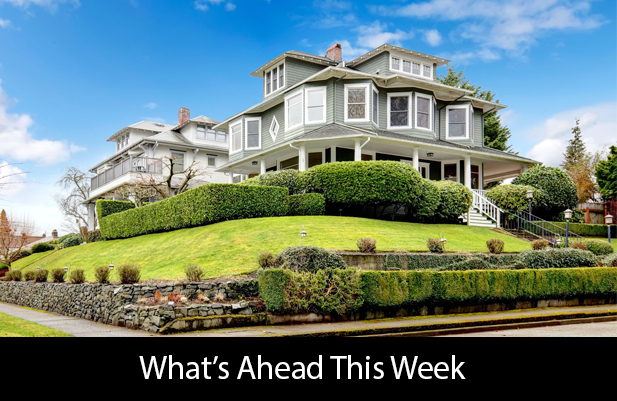 This week’s economic releases include the Case-Shiller Home Price Index, pending home sales and consumer confidence. Mortgage rates and weekly jobless claims will also be released. Are you in the market for a new house? Whether you are a first-time home buyer or are upgrading to get more space, you will need to choose between buying an existing home or building a brand new one. As you might imagine, there are pros and cons to each kind of home. But if it is in your budget, you may want to lean towards a newer home over an older one. 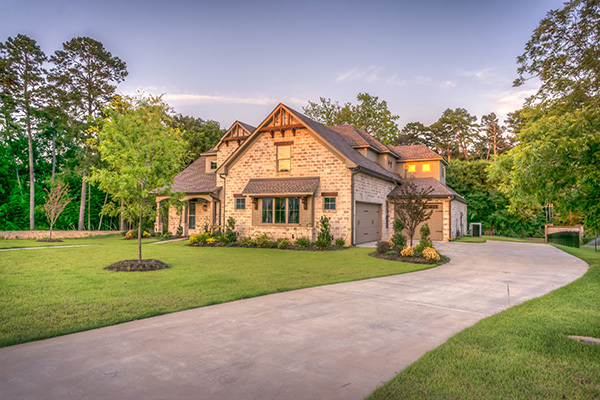 Let’s explore three reasons why new construction homes are better than existing homes. Ask anyone living in a custom-built home and they are likely to tell you that the ability to customize everything was a major deciding factor. When you build a brand-new home, your input isn’t limited to the floor plan or room layout. Your family can choose everything from the paint colors to the door hinges. Imagine having your pick of appliances, cabinets, flooring, and trim in every room – that’s what new construction is all about. A brand-new home means a home that is energy-efficient and built for convenience. Your home can be designed with as much advanced technology as you have in mind. Seamless Wi-Fi and other wireless connectivity for all your devices. A cutting-edge video security system to keep your family safe. Efficient heating and cooling that offers superior indoor air quality. And, of course, lower energy costs and a smaller carbon footprint. If you are a fan of technology and the conveniences it can provide, a new construction home is a perfect choice. Another benefit of living in a new home is that everything around you far less likely to fail over the next few years. Moving into an older home means worrying about the roof, the electrical wiring, the appliances and a whole host of other potential problems. In a new construction home, you will be surrounded by brand-new machinery that is built with the future in mind. Also, even if you do run into any issues with your home or appliances, it should all be under warranty. If you’re ready to discuss making an upgrade to a new construction home, contact us today. 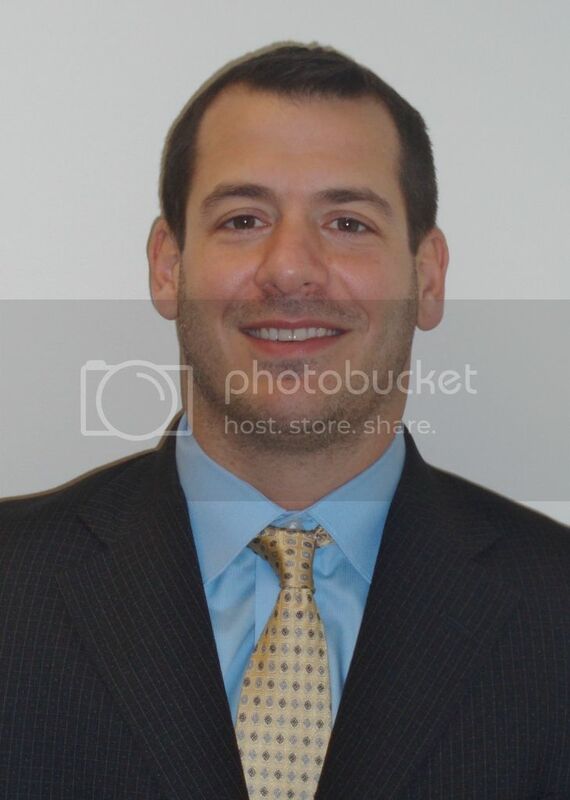 Our professional real estate team is happy to help. Did you recently receive your annual notice that the rent is going up? If so, you’re not alone. Millions of renters are seeing more and more of their income drained away due to higher rents. To make matters worse, every dollar in rent is one that you are not saving, investing or using to build your net worth. If you’re feeling the pinch of higher rents, it might be time to buy your first starter home. Have you ever done the math to understand how close your monthly rent might be to a mortgage payment? Here’s a quick and easy exercise. Multiply your monthly rent by twelve, and then multiply that number by 25. For example, if your rent is $1000 per month, that is $12,000 per year and $300,000 over 25 years. So if nothing changed from today, you could afford a $300,000 mortgage. Many first-time home buyers are convinced that they can’t afford to enter the market, but that is not the case. There are homes available that fit almost every budget or price range. In fact, it is less important to worry about the total cost and more important to worry about location, size and local amenities like schools and parks. Remember, when you buy a house you aren’t just locking yourself into a rental contract. You are investing in a home and property have the potential to gain in value over time. Of course, there are some considerations that you will need to make as you start down the path to homeownership. The first is that your mortgage is unlikely to be your only monthly expense. You will also encounter property and other taxes, utility fees and if you buy a condominium or apartment, homeowners’ association fees. You will also be responsible for maintenance and upkeep since you own the home. But that also means that you are free to customize and renovate as you see fit. Keep in mind that it is never too late to escape the rental trap. When you’re ready to start building your future by investing in your first home, contact us. Our experienced real estate team is happy to share beautiful local home options that will suit your needs and budget. Home builders surveyed by the National Association of Home Builders expressed their highest level of confidence in housing markets since 1999. The index reading for housing market conditions in December hit 74, which exceeded November’s reading of 70. Analysts expected a flat reading of 70 for December. Readings over 50 indicate improvement in housing market conditions. The three component readings used to comprise the Housing Market Index also rose in December. Builder confidence in current market conditions rose four points for a reading of 81; builder confidence in housing market conditions over the next six months rose three points to 79. Most surprising was the jump in builder confidence in buyer traffic levels in new housing developments. Traditionally, this reading rarely exceeded 50, but in November, it achieved the benchmark reading. December’s reading for buyer traffic gained eight points to 58. December’s reading for builder confidence in buyer traffic reached its highest level since 1999. Strength in jobs markets and overall economic conditions drove builder confidence; home builders also cited potential tax breaks associated with pending tax legislation. Tariffs on Canadian lumber were cited as an obstacle to builder profits and increased prices. High demand for homes caused by slim supplies of homes for sale continues to boost home prices. Real estate pros have said that increasing construction of single-family homes is the only way to correct the current imbalance between rapidly increasing home prices and challenges for first-time and moderate-income home buyers who cannot compete with cash buyers or afford rapidly rising home prices. Builder confidence also rose according to the three-month rolling average for builder confidence in the four regions tracked by NAHB. The Northeastern region reported a one-point increase for a regional reading of 54. Home builder confidence gained six points in the Midwestern region for a reading of 69. Home builders in the South reported a confidence reading of 72, which was three points higher than in November. Builders in the Western region reported a two-point gain in confidence with a reading of 79 in December.